Now that’s an American hot rod of a system, ain’t it? I’ve always loved the look of the CV. 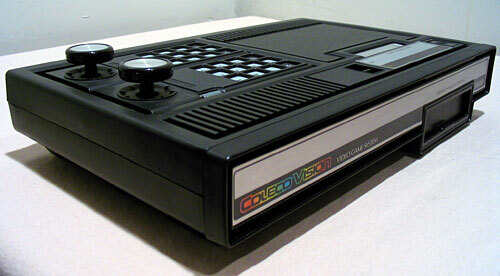 It’s one of the only consoles of its era that I think still looks fairly modern, in the same way an old Ford Mustang still looks fairly modern (and anyway, what’s old is new again, right?). It just looks badass; I mean that’s not something that changes with the passage of time. There are no feminine curves, no “futuristic” sloping wedges, just a big, imposing, hard-edged, black rectangular box. 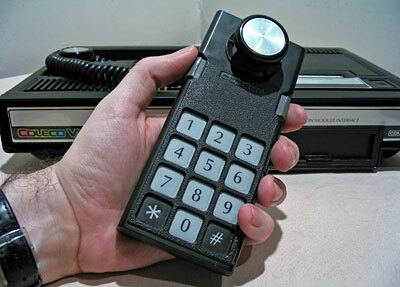 The way game consoles were meant to be. I always wanted a CV when I was a kid. 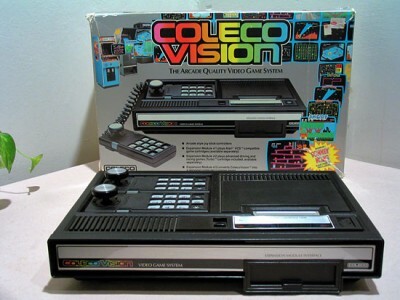 I had an Intellivision system, which was great when it was new, but everybody back in 1982 knew about this system that came with a near-perfect port of Donkey Kong (the hottest arcade game of the day) and I sure wanted one as much as anybody else. A friend of mine (a girl, no less!) across the street from me got one, and I was over at her house practically every day – sometimes until very late at night – playing on that thing with her, and sometimes even as she slept. She even got an Adam eventually (the add-on version – hope she kept it! ), which just meant more fun for all. She was nuts about that thing and so was I – it was almost like it was “our” system, though I really still wanted one of my own and unfortunately I never did get one. So I retrobought this one a couple years ago, got a decent deal because it only came with the pack-in game and nothing else. 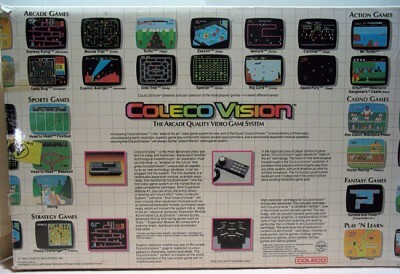 But it did have the box and all accessories, so it was basically like buying one new! I haven’t bought any games for it since getting the system – CV games are often expensive and for some reason tougher to come by than other systems, even though it seemed like they were everywhere back in 1982. I’ve got a lot of other systems to collect for first. Obviously this system was purchased a bit later into its production run. I’m a 6’4″ adult holding that thing, and it still looks big and beefy. Imagine wielding one of those as a 7 year old kid! On the plus side, the controller storage worked well and actually looked pretty cool. 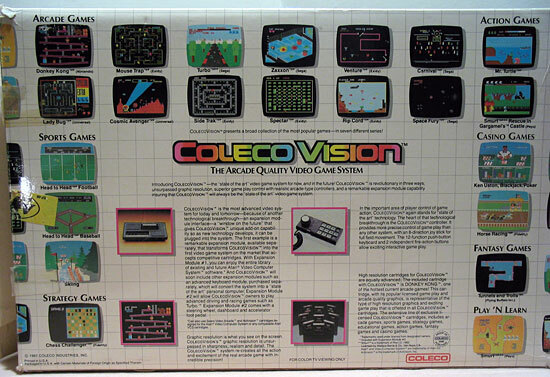 I wish console manufacturers would still build this into their consoles – I’ve got controllers lying all over my apartment. 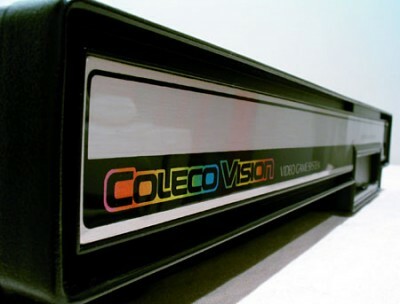 Where was the Colecovision made? I have a Colormatic system made in Canada from the 60’s.